In the world of Online Marketing, the only thing worse than not having a list of subscribers is throwing your money downs the toilet. Building an email subscribers list is important, not just for your business, but for your relationships with that list, as well. GetResponse realized this when they released a helpful .pdf detailing things you can do to optimize your email list growth. Because the truth is… Your list is made up of real people. Who would've thought of that? Remembering that they’re the same living, breathing, eating being as you is key. They are real humans, with real emotions. Day in, day out, we wake up. We’re either a slug or a bat out of hell when we climb out of bed. Some of us immediately go to work. Get the kids ready. Pour our coffee. Or crack open another bottle of the golden drink and keep the morning going. Maybe we’re hashed out in front of the TV? Or catching up on the latest Globe and Mail hot topics. And each one of us has a role to play when we subscribe to people's’ content and get on lists. With this in mind, let’s tackle something that should be thought of, first, in any Marketing campaign. How Do You Actually Grow Your Email List With Getresponse? 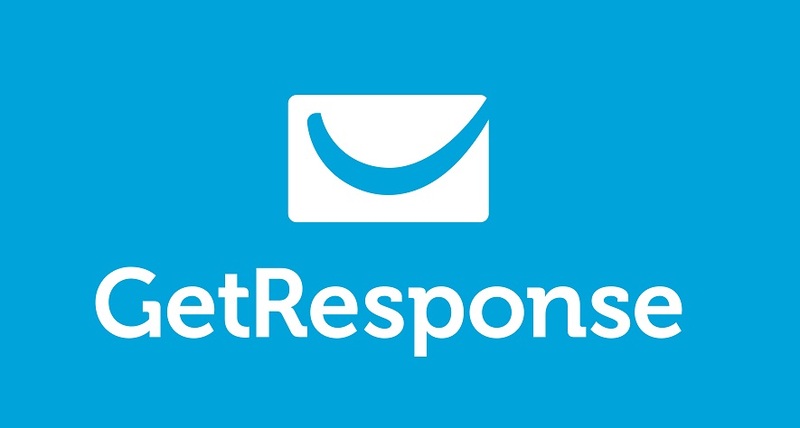 Whether you’re new or not to the email marketing world – I’ve already talked and raved and reviewed GetResponse in the past; a fantastic AR, landing page builder, and all around awesome platform. But it’s just a tool. A provider. What you should do is build your list yourself. Use your own means. Make your own great content. A lot of carpenters, building houses, will say they can make a house out of any tool you give them. The tool is just a device – it’s what you do with the tools you’re given, that make the difference. How Do You Actually Make A Difference By Growing Your List? One of GR’s tips in their “how to” list is to encourage other trusted people (preferably in your niche) to reprint your content or newsletter (tip #13). Let them do the marketing work for you. This could lead you to a wider audience than if you had continued rowing your own boat! Another thing GR suggests is advertising in e-zines and other newsletters (#18). Makes sense, doesn’t it? You have a newsletter… So you advertise in other newsletters to let newsletter lovers in on your hot new newsletter! Then, because you’re creating such intoxicating and valuable content, you’ll have no problem enriching your new subscribers’ lives. How Building a Relationship with Other People Is Your Key towards Having a Successful Newsletter? These are just a few tips (out of 21 total!) GetResponse dished out for you. What I want to ask you is… Do you see the connection between the two tips so far? How one of the ways to build your list is to have a relationship with other newsletter writers? Like I said earlier – any competent carpenter can build a house with any tool available. Just like any marketer can make an email campaign with any AR platform out there. If you don’t know what you’re doing, you won’t make something remarkable. What separates the wannabes from the successes is a willingness to interact. Carpenters interact with their tools and their colleagues. Savvy marketers understand their verticals and their market. Both parties actively participate in each others’ lives. GetResponse understands this – and I’m really glad they do. Because you’re not just selling to people to make money; you’re providing real value in real peoples’ lives.